One of the things that can make or break your lessons is how you manage people. Do it in a smart, systematic way and everyone will be happy with how much they got to play and the variety of people they got to train with. Do it poorly and you'll have people upset that they got short-changed or 'stuck' with a particular partner for too long. 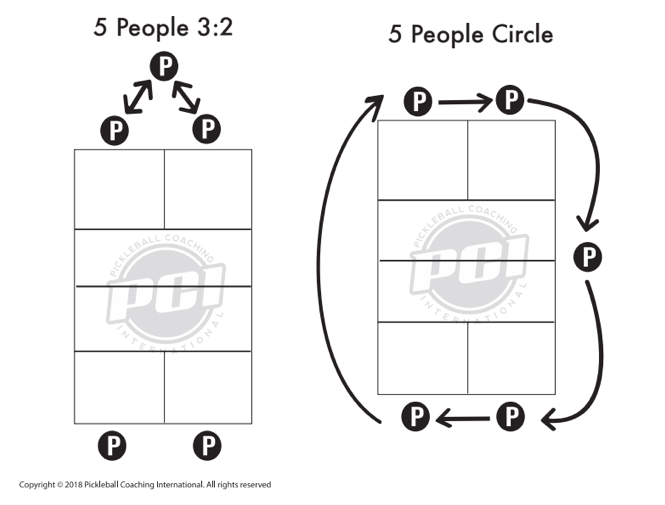 Here are some best practices for organizing different numbers of people on one or two courts. Note: the diagrams below and the video at the bottom of this page identify the number of people on a court but do not distinguish between students or coaches. 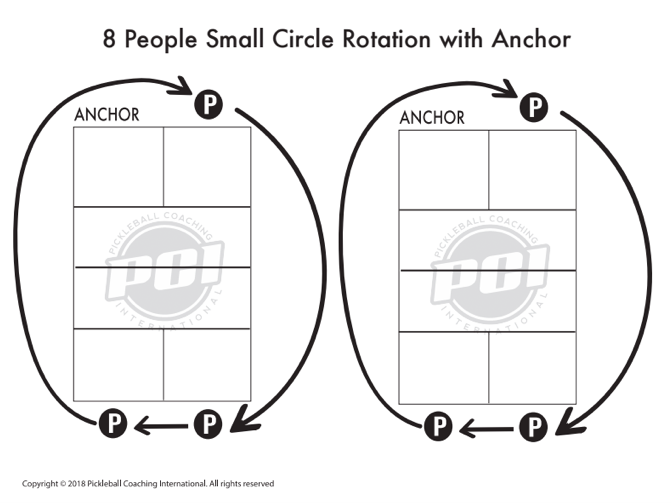 For example, a group of eight people could consist of seven players and a coach who is acting as the eighth student, or eight students with the coach not hitting balls. Listen to the audio clip below to figure out when the coach should "play in" or stay out.